Get a Vanguard Alta Pro 2+ 264AT/CT For Half Price! Vanguard has a great half price offer on their Alta Pro 2+ 264 aluminium and carbon fibre models until the end of June 2019. Vanguard currently has a great offer running for those that are in the market for a new tripod featuring a MACC (Multi-Angle Center Column). You can currently get a Vanguard Alta Pro 2+ 264CT (carbon fibre) or AT (aluminium) for half price, until the end of June 2019. 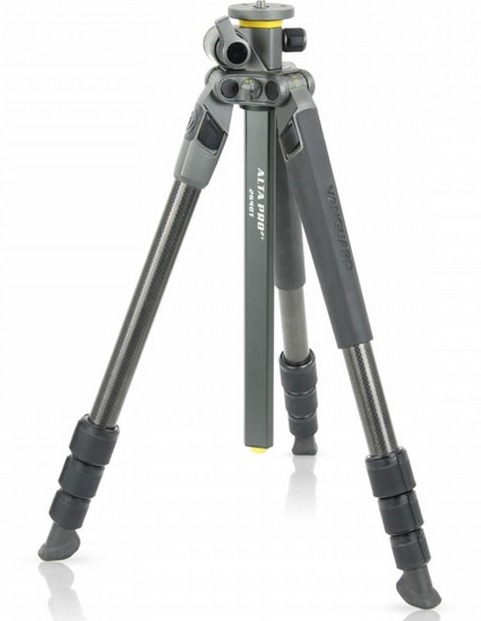 The Alta Pro 2+ 264CT is a lightweight, 26mm, 4 section Carbon Fiber Tripod with max pay load of up to 7 Kg/15.5 lbs. Featuring our unique MACC (Multi-Angle Center Column) it can be positioned at almost any angle from negative to positive thus offering ultimate freedom of creativity. The Alta Pro 2+ 264CT is available for £149.99, while the aluminium Alta Pro 2+ 264AT is available for £94.99. Amazon Spring Sale - Deals On Canon & Sony Kit!